Dose of Bliss Episode 3 features Brielle Galekovic of The Gilded Bellini. We dive into how to stop waiting for your dream job and create it! 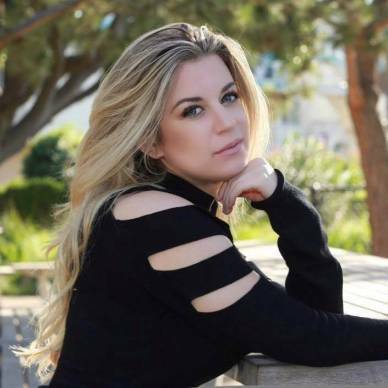 Brielle who has her own business reveals her tips how you can do the same and what to expect. Brielle and The Gilded Bellini have been featured on FOX 5 San Diego, The Huffington Post as an Inspirational Influencer, Thrive Global & The F Word FOX w/ celebrity chef, Gordon Ramsay. Not only is she a brunch & lifestyle guru, but has a professional background in PR, Marketing, Production, TV Hosting, Writing & On-Air Modeling (FOX 5’s Good Day NY, CBS/WLNY’s The Couch, PIX 11, Verizon Fios 1). All this success doesn’t come easily. Watch the video above to find out the secret to creating your own business, blog & overcoming every no you receive. We’re here to help you find inspiration to move forward to your dreams!